Affiliate links are used, at no cost to you. Thank you for shopping with me! Scary movies are a sliding scale. What may be petrifying to one, may barely spook another. If you have a budding horror fan, start your kids off with Halloween themes and eerie showings, and see how they do. If Hocus Pocus proves too hokey for them, move up to something like The Witches, or an action adventure film with ghastly characters. If they are still begging you for more, Beetlejuice or the original JAWS may spook them for good! What are your favorite scary movies for tweens? Hocus Pocus is one of my favorite Halloween movies. Just scary enough for my grade schooler, it’s a great introduction to scary movies or eerie themes. Witchcraft and magic make it light enough for the whole family, and will easily become a family classic. A personal favorite of mine, I used to watch Labyrinth all the time as a kid. But I would absolutely fast forward through the Fire Guys. They were nearly too scary for me with their head bouncing! Perhaps your scary movie lover will take to them, or prove a mile marker on their way to scarier stuff! Give ’em an original. I was shown Frankenstein in 7th grade as part of a research project, and I’ll never forget it. This 1931 classic film made landfall as a spooky story on the big screen with beautiful images. Lots of hinted horror, it’s a great start to a scary movie marathon that will keep your kids asking for more! Now we’re getting into some scary imagery! The Witches, based on a book by the same name by Ronald Dahl, has some incredible special FX makeup throughout the film. Scary witches come to life as they chase children around an English Resort. Can his Grandmother save him? You won’t be able to look away from the Grand High Witch, played by Angelica Houston. Another way to introduce scary movies to your kids is to mix them with adventure. Pirates of the Carribean: Curse of the Black Pearl is a self-admitted ghost story, with plenty of spook-factor, skeletons, and curses to entertain you. See how your kids react to this scary tale before you ramp up the scare factor. A take on the original Mummy movies, the 1999 version of The Mummy has a classic monster villain, with plenty of eye candy. Watch The Mummy’s threat come alive with CGI as bugs crawl, flesh oozes and the supernatural takes hold. The Mummy is another “scary” movie where adventure masks a lot of the fear factor, but it’s a great addition to your early horror film library. This movie totally creeped me out as an adult, much less an impressionable teen. The imagery used in this dark, stop motion film is creepy, elegant, and sticks with you long after the film is over. Watched in its entirety, Coraline arouses feelings of danger and watchfulness, which taps perfectly into the scary movies for tweens demographic, without the blood and guts. If you’re looking for a ghost story, go no further. This ghost-filled flick has monsters, ooze, spirits, tension and more, which may be right for your kids. The 1984 classic, Ghostbusters, as well as its sequels use the supernatural to inspire thrill and scariness! You’re the ghost with the most, babe! Much like Pirates and The Mummy break tension with adventure, Beetlejuice has great doses of humor to disperse fear. Couple that with fabulous makeup and great design, and Beetlejuice is a classic choice for scary movies for tweens. I especially enjoy the prosthetics and to-scale design of the characters. Have fun, laugh, and get spooky! Stephen Spielberg’s Gremlins makes for one scary tale! Most parents nowadays are familiar with this movie from their own youth and remember it as a chilling tale of pet care. With a dash of humor and tons of scary gremlins, it’s a good pick for tweens who want to kick up the scare factor. This pick is topically scary since the new movie has hit theatres, but Stephen King’s IT, in its original form was made for TV. The cursing is minimal (if any) and blood count is low, but the psychological fear factor is out of this world. If your tweens walked away from Gremlins without being creeped out, this film is top notch for scare factor. You may want to watch it with them in case IT proves to be too much. Alright, folks. This is where it starts getting serious. Many of the following films I would consider fully-caffeinated with terror, but they have lesser ratings and curious subjects (no serial killers) so I’m including them here for your tween that is obsessed with scary movies. Sixth Sense has a great twist at the end that new viewers may not see coming. Pro tip: to lessen the fear factor here, watch the director’s commentary or behind the scenes info first. While you may see some spoilers, it may temper the fear factor. You’ll need a bigger boat after watching JAWS. This movie is why people are afraid of sharks. The 1974 film echoes years after its making, and still terrifies filmgoers. Buckle up on dry land for a screening of this terrifying classic with your tweens. 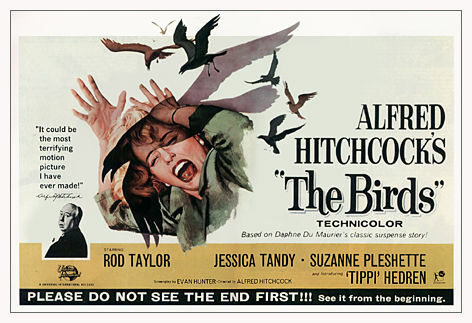 Another truly scary film is Alfred Hitchcock’s The Birds from 1963. The film may not feature battle sequences or excessive blood and guts, but the movie will have you feeling differently about your feathered friends once the credits roll. This scary movie is fit for tweens who can handle everyday objects going rogue. My husband recommends this flick for fear-loving filmgoers. 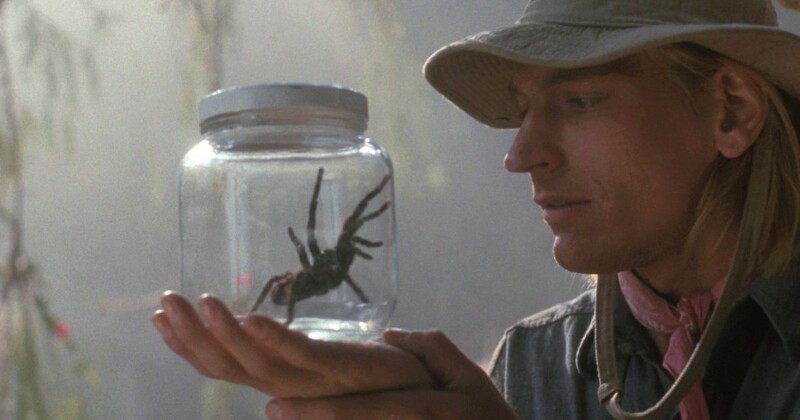 If you have any disgust or revulsion for creepy crawlies, this movie will have your arm hairs standing on end. You’ll never look at putting on a shoe in the dark the same way again. Your tweens should have mastered several movies on this list before they settle into Arachnophobia with a tub of popcorn. What scary movies for tweens do you recommend? I use to LOVE Disneys Mr Boogedy!! Hocus Pocus is one of my all time favorites. I need the costumes now.